The first thing that struck me when I entered the theatre was that the theatre was fairly empty – a somewhat grim sign for a movie that has released just three days ago, but as the film started to roll I was enraptured by the artistic and sprightly resonance of the scenes shot so bewitchingly by Anay Goswami. 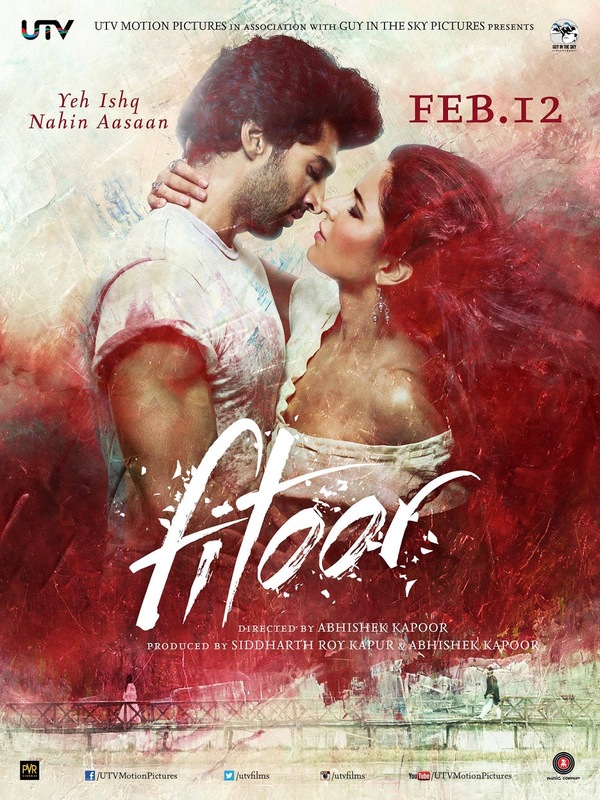 Without wasting time if I were to limply enumerate the attempt by director Abhishek Kapoor (Gattu), by avoiding plunging into the intricate specifics, I would say that Fitoor is clearly for the thinking man who is acquainted with reading, and not for the crowds that quite revel in the lewd, and so it is understandable that it has not charmed the rationalities of the common man. The sequence of events, are rather straightforward, and the yarn works reasonably well considering that it is after all an adaptation of Great Expectations by Charles Dickens and the man had the liberty to articulate it in the manner he thought creatively appropriate. As time elapses you discern that the mood is melancholic. The canvases are remarkable. The texture is ethereal. The lilting music by Amit Trivedi quite befits the movie. I do understand that people are finding it dull, but one cannot expect a bhangra dance from a backdrop like Kashmir, right? Aditya Roy Kapur as Noor (Pip) is most becoming. His expressions are being compared to the woodiness of the Chinar trees found abundantly in Kashmir, and, I reckon, we have to discount people like these who judge actors as good or bad based on their histrionics or box office popularity, since I have always found Adi to be a refined actor who can carry anything away with élan. Take for example Daawat-e-Ishq, where he played the unqualified and immensely street-smart Tariq Haider. Not once did he lose his thoroughbred streak of refinement while playing that character, and this brought to the role the much wanted finesse that anyone else playing it would have destroyed it by overdoing it or underplaying it. So 'refinement' is in Adi's blood. It is in his DNA. My friend Mohit Suri had unearthed a stellar performance from him in Aashiqui 2 that seeps into your soul and unsettles it. In some ways the heart-wrenching pain that Adi had to produce in Noor, that originally Pip would feel, is absent in his range here, but that blip cannot be a slip on Adi’s part - a precise balance of ingredients is responsible in making a pie delicious, and it is no secret that apart from it being a team effort, it is the chef de cuisine who is responsible to add that extra zing to the preparation, so blaming Adi for the weak audience turnout by some news dailies is not merely lame, but an unblemished reflection of the immaturity of the reviewers’ own acumen. The screen writers (Gattu and Supratik Sen) ought to have prepared a fertile base sufficient enough to add more scope to elicit the actual essence from Adi. Lara Dutta is satisfactory in her role. Rahul Bhat is excellent as a deceitful control freak in the outfit of the cultured that he so comfortably reflects. What is disheartening is that the aptitudes of the multi-faceted Akshay Oberoi and the gracious Aditi Rao Hydari have been underutilised. They surely could have been given a better context in order to help build the depth of their respective narratives. Tabu as Miss Havisham was unbearable. Her crude and rough diction is depressing. Her costumes were peculiar, and her make up was seldom coherent. I wonder why Aditi agreed to have her superlative voice dubbed by that of Tabu’s, although; the one who needed dubbing of a better voice was Katrina Kaif who plays Firdaus (Estella). Other than looking like a porcelain doll made by a skilful sculptor, there is an innate poverty in her demeanour. Her voice and her acting ability are both devoid of any feeling. The burgundy hair brought no special lustre to her role, and she is best represented as a work of art – silent and plastered on the wall. The highlight of the film is the relationship between Begum Hazrat Khaala and Noor Miyan. It is quite like the rivalry between the seventeenth-century Italian architects Gianlorenzo Bernini and Francesco Borromini. Like Noor garners the love and attention of everyone despite his lower rank in status, Borromini found it hard to adjust to the demands of the times whilst the polite Bernini, who knew what to say, and when to say it, paved the way forward to make himself a name that has stood the test of time. Such is the case with Begum as Borromini, and Noor as Bernini, where Borromini, under the weight of his own misfortune ended up taking his own life and Bernini continued to carve his niche on the sands of time and is remembered even today with great reverence and delight. Noor and Firdaus lack the magic that a role such as this demanded. Perhaps Deepika Padukone would have been a suitable person to render Firdaus. What I liked for a change was the idea of portraying the male protagonist with a Muslim background. It provided the much-needed ‘tehzeeb’ and ‘nazakath’ to the characters, a nuance that is on the decline lately, on, and off the screens as well. The dialogues were an awful let down. They should have been persuasive, strong and effective. Societies must be mindful that one can work with anyone high up in the clouds (for the sake of art reaching unattainable heights), but when it comes to your life partner it becomes imperative to find somebody with their feet firmly on the ground. One must be mindful that somebody might party and still not be cool, just as traditional does not necessarily translate as dull. One ought to be observant too to the vital signs in a partner to be; sporting a modern attitude, even if the character were to have shades of the conservative. Outlook is important, not typecasts. “Bro, Abhishek (Kapoor) is a superbbbbb director.” That was my big brother Subi (Samuel’s) reaction this morning when I told him that I liked Fitoor. I have not seen Gattu’s other films, so I must take Subi’s word on this, which brings me to the quintessential question – why did I watch Fitoor when I haven’t seen the other films by Gattu? Honestly, ONLY and ONLY for my buddy Akshay Oberoi, and then for Aditi Rao Hydari, who had worked with my brother Ali Zafar, and is a buddy with my friend Sirish (Rao). Also, I adore Adi as an actor, and despite what the world says, I still maintain that given the right roles, he can outperform the best we think we have today simply because he holds a certain element of suave subtlety about him, and additionally exhibits a rather strong touch of originality, which we see in short supply with the other actors, who are busy imitating someone or the other from yesteryear. I concur that Fitoor is a bit lost and slow, yet it is unfortunate that it has received such motley, or wetted response simply because people could not fathom how intense a film it was - almost like a theatre play on the large screen and this is where it went a bit wrong I suppose: crowds that are used to lapping up rubbish were not able to digest intelligent cinema. Regardless of what anybody thinks, I came away content that although it was not magnificent; it certainly was not a disappointment as the columnists are making it out to be. 1/ I know people do rant incoherently when under the influence of alcohol, but please do not trivialise it by “Doodh maangoge toh kheer denge, Kashmir maangoge toh cheer denge!” That was terrible. 2/ You enjoyed what you made, bro, and those who share your vision are enjoying what you have made, and that is enough, isn’t it. After all common knowledge states that every ball you hit cannot result in a six, right.